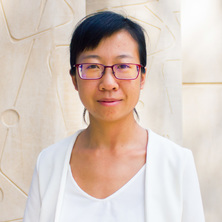 Lisa Bai is a Postdoctoral Research Fellow in the Advanced Water Management Centre at the University of Queensland. where she is involved in a range of research projects on process development for sustaibale waste and wastewater management. Her main research focus is on recoverying waste nutrients from waste and wastewater for the production of bioenergy sources and value-added materials. Dr. Bai obtained her Bachelor Degree in Bioengineering in Central South University, China and a PhD degree in the School of Chemical Engineering at the University of Queensland. Both her bachelor and PhD thesises were focusing on open culture microalgae mass production as well as product, nutrients and energy recovery from the biomass. Before joining AWMC, Lisa worked in an environmental service company in North Queensland (Townsville - Bowen) for four years, focusing on process design and development for the aquaculture water bioremediation using macroalgae technologies and utilising waste streams as feedstocks for the production of biomass for a diverse usage including aquaculture feed, fertiliser, and other bioactive compound.